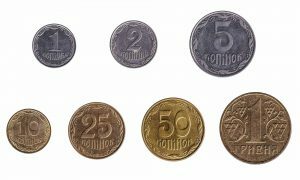 The Ukrainian Hryvnia, also known as ‘hryvnya’, is the national currency of Ukraine since 1996, when it replaced the karbovanets following years of high inflation after the collapse of the Soviet Union. The subunit of the hryvnia is the kopiyka, with 100 kopiyky in one hryvnia. The currency’s ISO code is UAH and its sign is ₴. At Leftover Currency we exchange current Ukrainian Hryvnia banknotes, withdrawn Ukrainian Hryvnia banknotes as well as Ukrainian coins.